The LG 34UB88-P is $480 today at Newegg. 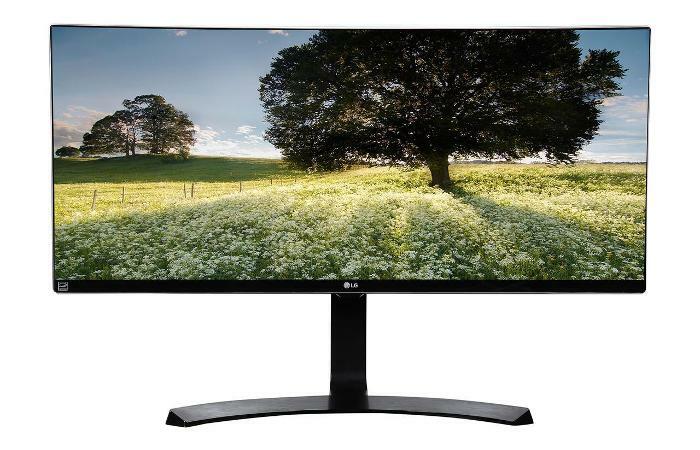 Newegg's deals email today has a nice deal on an LG 34-inch 21:9 ultrawide display. Today, you can get the LG 34UB88-P for $480. It's a FreeSync monitor, meaning you can sync up refresh rates with a compatible AMD Radeon graphics card. To get the deal you must use the coupon code EMCBRBK63. This monitor features 3440x1440 quad HD resolution on an IPS display, 5ms response time, and the aforementioned FreeSync feature. For ports it has two HDMI 2.0, two Thunderbolt, one DisplayPort 1.2, and three USB 3.0 including a quick charge port for powering up connected devices. There are also built-in speakers. This is not a curved monitor as we've seen with other QHD displays, which means you may not find it as immersive as other monitors. It also won't have the better viewing angles that a curved display affords. Nevertheless, a 3440-by-1440 monitor allows for features like dividing the screen into sections for different apps and tasks. There are four types of picture-in-picture modes in this monitor allowing you to watch a video in one corner while working on a spreadsheet or a Word document in the rest of the screen.